What does starting a low carb diet really mean? Starting low carb means reducing the sugars and starches in your diet, then replacing them with healthy sources of veggies, protein and fat. Starting low carb lets all your creamy, buttery, bacony dreams come true. Here’s an overview of what low carb promises, a little simple science and the steps to start. The food will keep you satisfied and full longer. After eating a low carb meal, you won’t feel stuffed or tired. Instead, you’ll gain energy. Soon your skin will improve, you’ll look great and you’ll feel younger. Low Carbers eat delicious high fat foods, but continue to lose stored body fat. How is this possible? That’s where the science behind the low carb diet comes into play. When you start a low carb diet and decrease the carbs (sugars and starches), your metabolism changes. You won’t have sugar available to burn for energy. Instead, your body uses stored body fat, and the fat you’re eating. When the body uses fat for energy, you are “in ketosis.” Ketosis burns body fat rapidly while giving a boost of added energy. How Do You Start a Low Carb Diet? First, learn to read food labels (Food companies use tricks – watch out!) and find the REAL amount of carbs in what you’re eating. Check out low carb food lists and see the hundreds of delicious choices you have. You’ll be surprised. It’s time to clean house and deal with all the dangerous foods hiding there. Then head to the store, armed with a fool-proof low carb grocery store strategy in hand. Plan a week or two of meals and snacks in advance. This will take the guesswork out of what to eat while you give yourself time to adjust to your new way of eating. 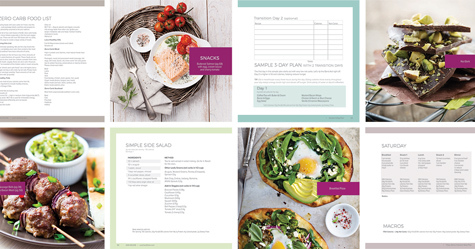 Atkins has a great free low carb starter kit with free full size meal bars, carb counter, meal planner, tips, discounts and more! It’s really free, with no shipping fees – just tell them where to send the free samples and coupons! Starting low carb is safe for healthy adults, but it’s always a good idea to check with your physician if you have any special health conditions. 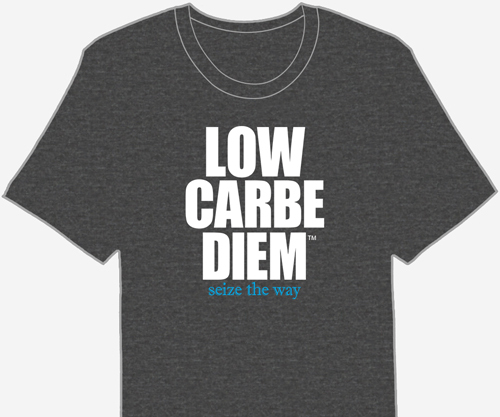 Subscribe to Low Carbe Diem and receive fresh low carb food ideas, food lists and eBooks each month. Ready for ALL the juicy details of starting a low carb diet? Read the full article: Starting a Low Carb Diet, complete with TONS of free low carb food lists, eBooks and downloads. – Low Carbe Diem! Click the image to enlarge. Right-click to copy, print or save.